When people first find out that I eat mostly a plant-based diet (yes, I said mostly.. see my High Maintenance Eater post for more of those details) I tend to get a list of varying questions and statements like..
How can you just eat vegetables? Aren’t you hungry all the time? All of which I am more than happy to answer and or talk about. You see, eating a plant-based diet has enabled me to feel the best I have in years. It’s also a lot of fun, in my opinion, because it forces me to try new recipes and foods that I probably would have NEVER eaten before. I mean really… five years ago I would have never thought I would be in LOVE with Portobello mushrooms… yet here I am.. loving that fungus humongous! So, today I thought I would take a few moments and just kind of debunk and or answer some of the myths/questions out there about a diet made up mostly of veggies. Actually, when eating a plant-based diet you get all the protein you need. Plant foods are a great source of protein. Legumes, lentils, nuts, seeds, and food products are packed with protein. Complete protein, in definition, is a protein that delivers all of the essential amino acids needed for human and animals. These proteins are not ONLY found in animal products, but in plant based foods too. And depending on the vegetable, legume, or nut, can actually have a higher protein level than animal products. I thought this too when I first started. All I was picturing on my plate was lettuce and carrots. Nothing substantial or filling. 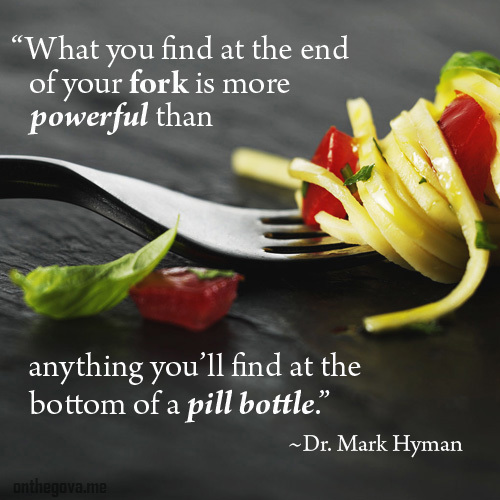 Yet, as I learned and experimented with new foods and recipes, I quickly found out that eat a plant-based meal can definitely fill me up. Eating legumes, beans, and other high fiber vegetables allows you to feel more full. It fills your stomach and helps keep your sugar levels stabilized, which in turn keeps your cravings at bay. We have lived on a budget for over 20 years now. That means I have a set amount of money set aside for groceries and other bills each week. I can honestly say that our food budget hasn’t changed all that much. Buying organics can be a little more expensive, but so can buying good beef. When you’re buying items like beans, grains, vegetables, and fruits, the amount you spend can actually be less than when you are having to buy various meat items. Forks Over Knives and One Green Planet have written great articles on how you can eat a plant-based diet on a budget. There are also sites like Plant Based on a Budget that can help you with recipes and other great information. On a side note – I do talk quite a bit on this blog and my other social media outlets about how eating organic is best. Organic foods can definitely be more expensive, so if you can’t afford organic, but want to go on try a plant-based diet, just buy the items you can afford. It’s better to start there than to not start at all. OK. This one is hard to totally debunk because everyone’s tastes buds are different. But, I can speak from experience. Through both trial and error I have found that eating a plant- based diet is FAR from boring in the taste department. Just swing by Instagram posts now and than and you’ll see some of the yummy food I get to cook up. What has helped me the most in trying new foods was that I have looked at eating more plant-based as adventure. Finding new and interesting recipes to try at home and when we go out, finding new and interesting items on the menu can be a lot of fun. Never in my life would I have ever thought that I wished every pizza place would make a pizza topped with cashew cream instead of cheese or that ordering a black bean burger with a side of sweet potato fries from a local restaurant for dinner would be on my craving list. Yet all this is happening in my life and I love it! Well, I’m not a doctor by any means, but there are numerous studies out there that show how eating a plant-based diet can reduce your risk of cancer, high cholesterol, obesity, and so much more. So many that I won’t go into them all here, but just Google ‘plant-based diet health benefits’ and you can see for yourself. I’m not saying that eating meat or animal products is a bad thing. I eat these in small amounts every once and awhile myself, but my understanding is that the more plant-based eating we do, the healthier we are. With all of that being said, I just want to encourage you to try a plant-based diet. It has changed my life for the better in more ways than one and I think it could do the same for you. I’m not an expert by any means, but if you have any questions or would like to know how to even start on eating a more plant-based diet, please feel free to leave a comment here or email (in the side bar) and I’d be happy to help in any way I can. Thanks for stopping by and have a healthy, happy day! well of course I love this post and totally agree with it all! Ha ha. Thanks Deborah!!! Have a great weekend! It drives me crazy when people say eating healthy is more expensive. Usually they are saying it while drinking a coffee shop coffee. Really? I totally agree! I was thinking of doing another post just on price comparisonin.. but have to work on that for a little bit. People will go spend tons of money on Starbucks and other stuff like that and than say they can’t afford good food.. hoping to educate them a little on that some more. I eat a plant based carnivore diet. By that I mean that my day is FILLED with veggies. I must have tons of veggies in my day! I just can’t handle beans so well, and I can’t live off of quinoa lol. But I have drastically decreased my meat protein intake over the years, and I’m fuller than ever! That’s awesome Suz! Me too. I actually crave veggies and plant based stuff more than anything else now. When I do eat meat, it’s OK but not a must have. Thanks for stopping by. I love this! I’ve recently transitioned away from eating meat and I feel amazing 98% of the time. I also don’t remember the last time I ate a salad, which is what most people think eating plant based is all about. And like you said, one of the things I love most about going plant based is that I now eat things I never thought I would have, like beans and other veggies. And I’m so much more adventurous in the kitchen. Giselle that’s awesome! I love hearing stories like that. Thanks so much for stopping by and sharing!! Have a great weekend! Haha, that mushroom pun made me laugh! I always remember internally rolling my eyes when people would ask how I get enough protein when I was a vegetarian. Hopefully this clears it up for a lot of people! Thanks Emily. I loved the mushroom pun too!! Thanks for stopping by! What a great post! While I do eat meat, I have been reducing my intake. I think you are so right about being much more adventurous in the kitchen with a plant-based diet! Thanks for stopping by Michelle! Yes, I love finding new things to cook up in the kitchen!! Yes, going meatless will definitely save you some money for sure. Thanks for stopping by! Wow, 11 years and they still do that. Crazy. I’ve had people get defensive with me when I tell them I don’t eat a lot of meat. I just say nicely – look I’m not telling you eating it is wrong – I just don’t want to. Sometimes it works.. sometimes they just still don’t get it. great myth busting article. while im not a vegetarian, i do enjoy plant based food as well and they are filling 🙂 really enjoyed the infographics. Aw. Thanks Dixya. I do eat meat every once in awhile, but like you.. I like the filling veggies and beans stuff too. I have reduced meat and dairy to a bare minimum in my life and I feel so much better. Love this post! Pinning! Great post! I’m not a vegetarian but we strive to have at least a few meatless meals each week. I agree that the more plant based foods we can eat (full of vitamins, minerals & phytochemicals!) – the better. That’s awesome Chrissy. My husband will laugh and say ‘most people do meatless monday.. we do Meat-ful Monday and the rest of the week no meat..’.. that’s not always the case but he does think it’s funny. LOL. Thanks for stopping by. Very interesting! I’m not vegetarian but I know you can get adequate protein without meat. Like Chrissy above, we try to have a few meatless meals each week. Love this post! The what about protein, you aren’t getting enough protein, ect is the one I would get all the time! I always liked to respond with something stupid about peanut butter or saying what avocados and ice cream, or something stupid doesn’t have protein? Ha ha – yea, I can get some pretty strange comments too. I love it when the light bulb goes off when they realize there is protein in beans and veggies. LoL. GREAT post! I’ve been a vegetarian for 4 years now, with absolutely zero meat (beef, poultry, seafood, fish, etc.) As a personal trainer, it always seems to shock people that I don’t eat meat, and of course get the “but how do you get enough protein?” question. I have an ‘adopted son’ that used to live with us and he started working out. Once I showed him how much protein he could get on a plant based diet he was flipping out. And showing him pictures of body builders who are vegan helped too. Mushrooms had to grow on me (pun intended.. lol) and I was so surprised when they did. But thank God there are so many other options too. Thanks for stopping by! The thing that drives me crazy is when people think that vegetarian/vegan dishes are necessarily nasty. People! There are things called spices! And honestly, I think that a lot of veggies and beans hold flavors very well and fill you up enough that you don’t even realize you’re missing meat. Great post! Oh Lex I totally agree! Like soaking a portobello in balsamic vinegar — BAM.. deliciousness right there. So far from boring! Thanks for stopping by! Anyone that thinks plant based food tastes terrible has never eaten my cooking. I rarely get these questions anymore. Ha ha. Jill, that’s awesome! I love when people come over to eat at my house and I fix them something plant-based and they love it.. they just sit there amazed. It’s awesome!